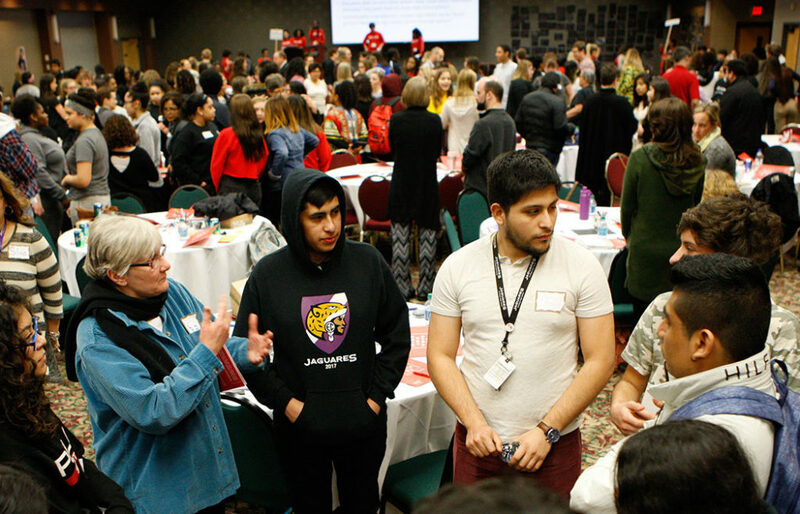 MINNEAPOLIS, Minn. — Youth, educators, administrators, families, and community members will gather together at the Saint Mary’s University Center on Thursday, Feb. 28, for the sixth Missing Voices: Equity in Education Summit — titled Advocate: Access & Act! Attendees will engage in solution-oriented dialogue to discuss how to take action to increase equity in education. Active community leaders will take the stage to unpack the terms “advocacy” and “civic engagement.” A panel presentation and a keynote address will be complemented by two breakout session presentations. Audience members will come away with a better understanding of advocacy and civic engagement and hear inspiring examples of how individuals have advocated for themselves, their schools, and a more equitable education system for all students. Breakout sessions by local leaders, although focusing on different areas, will connect their content to the main theme of the summit. Artistic opportunities will be involved with the program. Guests can expect to engage in conversation with one another and explore new perspectives throughout the day. Leaders from the Youth Equity Solutions (YES!) team will direct the day’s events. These young people help make decisions regarding the summit and facilitate transition activities, ask reflective questions, direct the audience, and participate in breakout session presentations. Sandra Vargas, senior executive leadership fellow at the Humphrey School of Public Affairs. She is a well-known community leader in the Twin Cities and has won a number of awards for her work in equity and racial justice. Zuki Ellis, chair of the Saint Paul Board of Education. As a lifelong citizen of Saint Paul, she wants to give back, support, challenge, fight for, and lead the community that has helped to raise and shape her life, as well as the lives of all the students of the district. Mónica Segura-Schwartz, a member of the Board of Education in School District 742. She has been a consistent advocate for disengaged or underrepresented groups and encourages others to participate in public life by getting involved in community making. Rose Chu, senior policy fellow at Minnesota Educational Equity Partnership. Her industrial and systems engineering background, coupled with her experience as a classroom teacher, has continued to ground her life’s work in educational reform and transformation. Kenneth Eban, senior organizing director at Students for Education Reform Minnesota. Eden Bart and Rose McGee from the Minnesota Humanities Center. Syra Yang, equity specialist at Robbinsdale Area Schools. Jim Knutson-Kolodzne, director of the American Indian Center at St. Cloud State University. The summit will be held from 8 a.m. to 2:30 p.m. at the Saint Mary’s University Center, located at 2540 Park Ave. in Minneapolis. Check-in and continental breakfast begins at 7:30 a.m. Youth, family members, parents, and community organizers are invited to attend at no charge. Tickets for education professionals and general admission tickets are $125. Guests can register online at smumn.edu/missingvoices as well as on the day of the event. Any questions about registration or the event can be directed to ccre@smumn.edu.